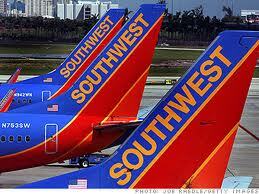 Dallas-based Southwest Airlines is planning to begin providing international service. They expect to offer the new service in 2014. The airline doesn’t currently fly to destinations outside of the United States. To prepare for this international phase of the airline’s history, Southwest announced that it would require all of its pilots and flight attendants to get passports by the end of 2013.